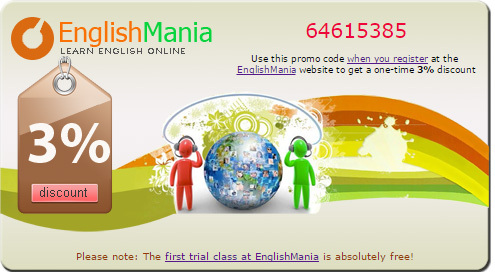 Would you and your friends like to enjoy discounts on EnglishMania’s services? You’re already a customer of EnglishMania – we’d like to offer you the opportunity to become a Partner! 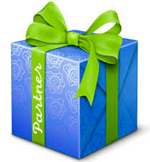 As a registered Partner you will receive 10% commission on ALL payments made by people you refer! You can choose to receive the commission directly into your PayPal account or you can simply use the earnings to pay for your own classes. And there’s more; every person who enters your Partner Code during registration gets a special one time discount worth 3% off any of EnglishMania’s products. It's very easy to spread the code via text, email or through Social Networking such as Twitter or Facebook! All you have to do to obtain your official EnglishMania Partner Code is complete the simple form below! By submitting the form the applicant agrees to the Terms and Conditions of the EnglishMania Partner Program.